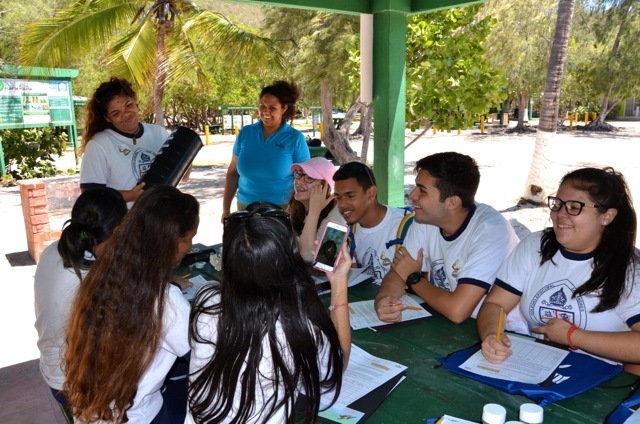 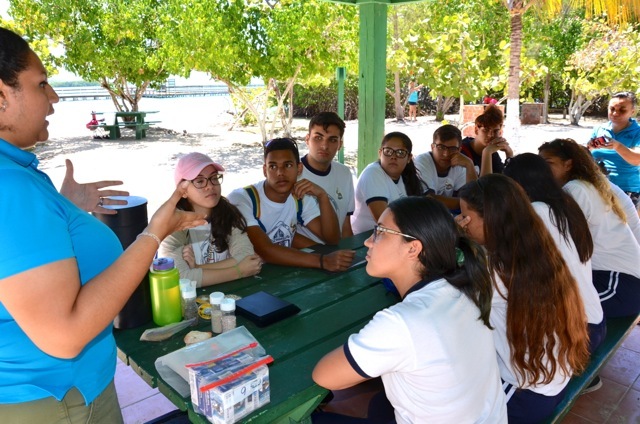 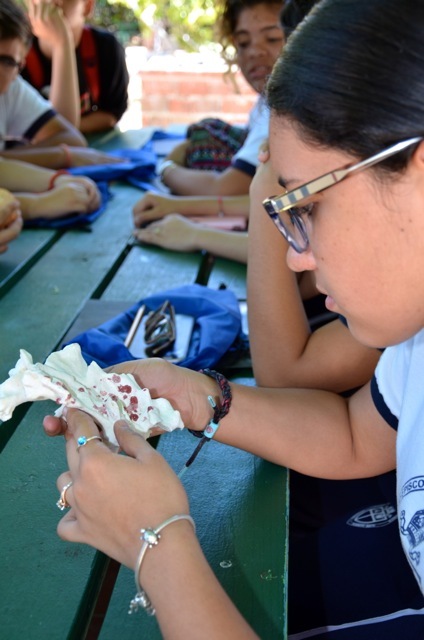 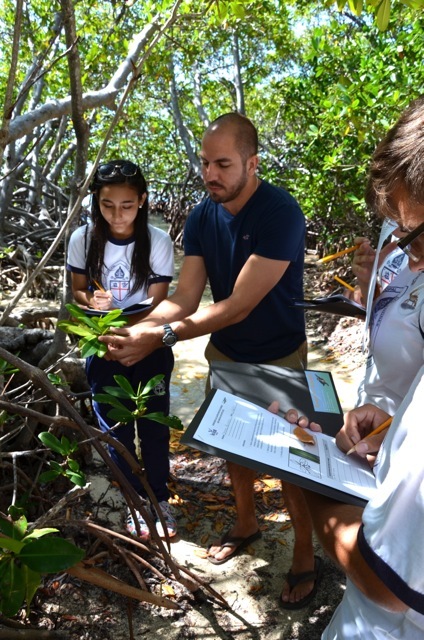 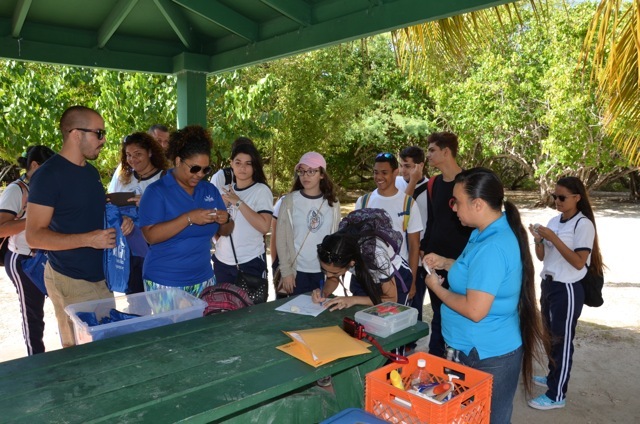 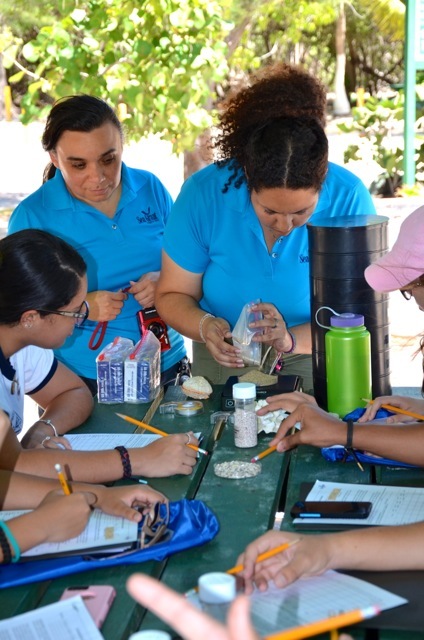 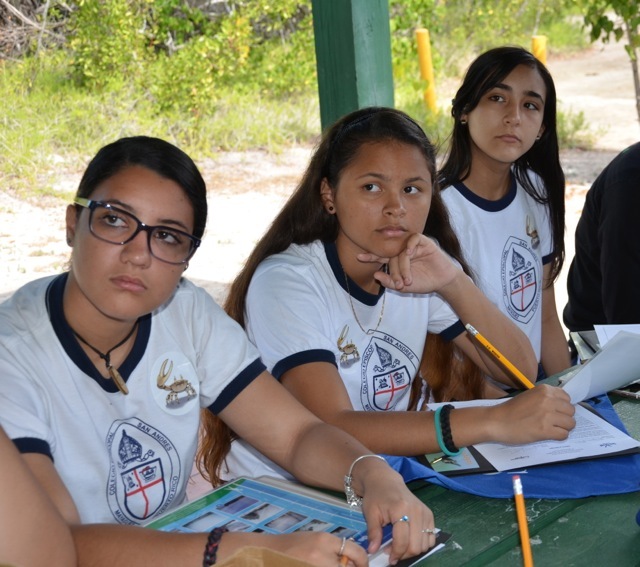 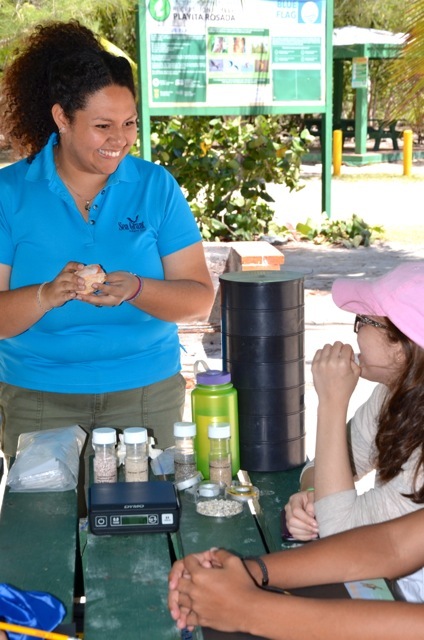 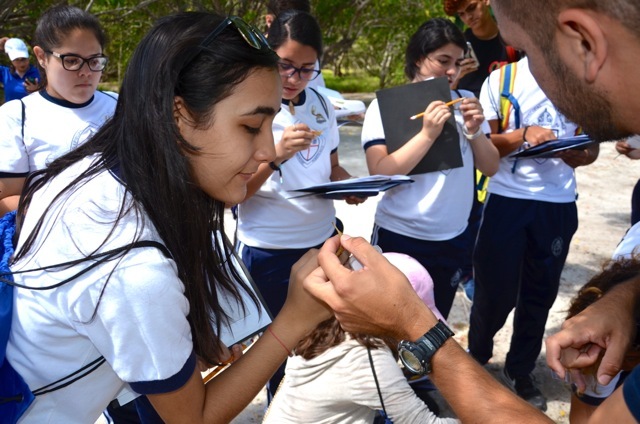 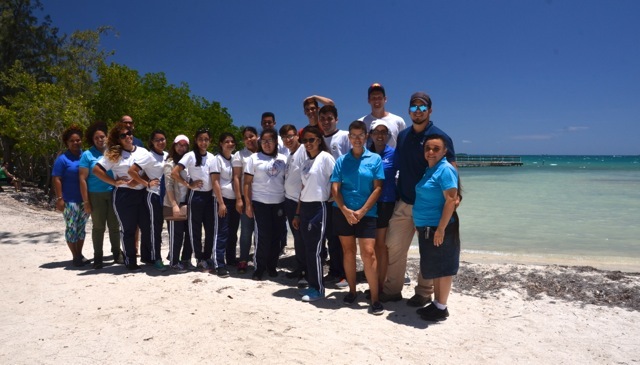 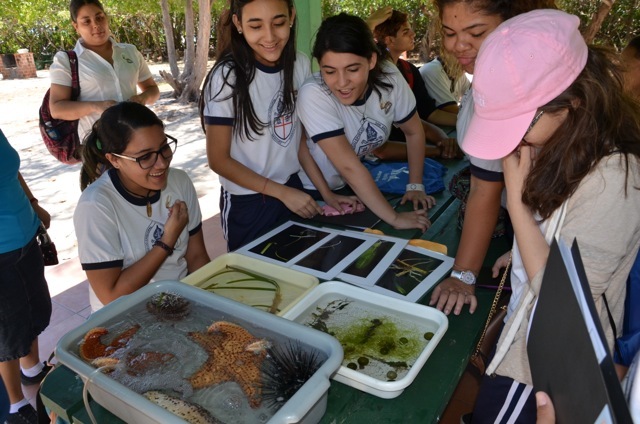 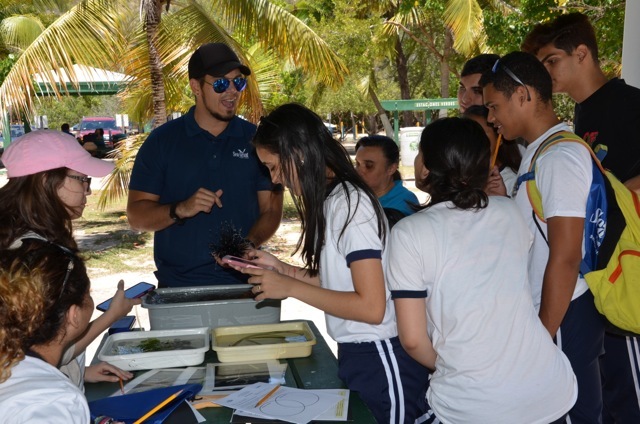 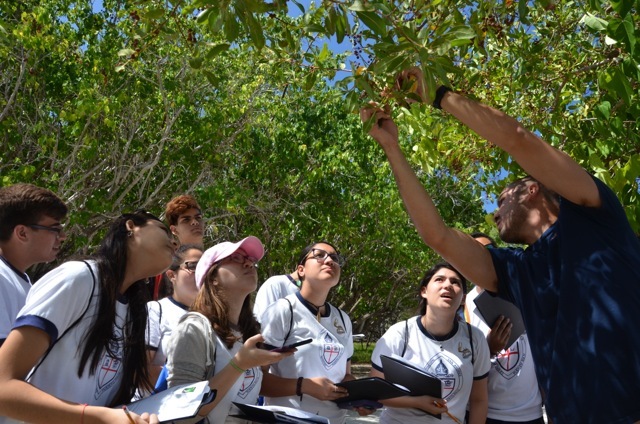 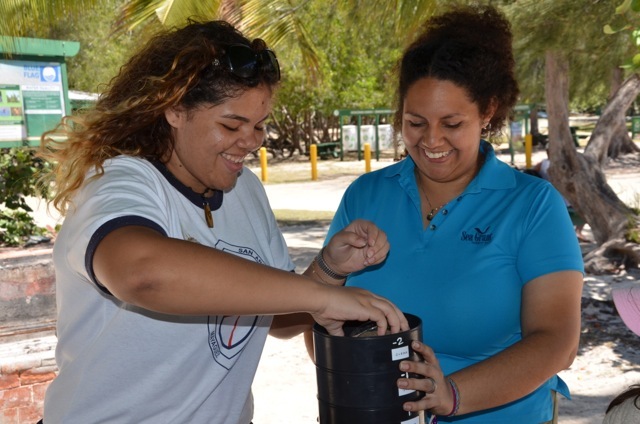 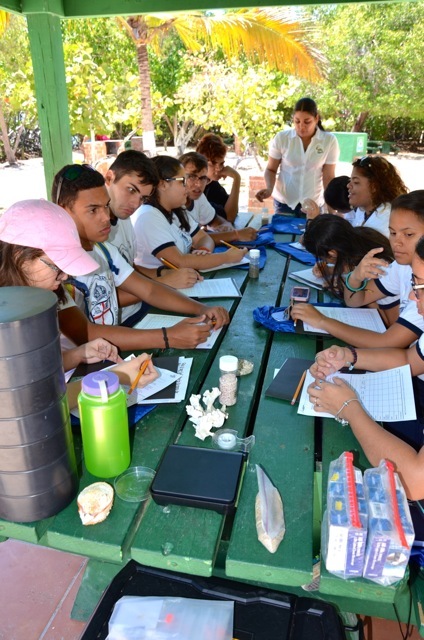 After having taken the training offered by the Sea Grant Program about the educational guides, Prof. Chardmary Rosario, from the San Andrés Episcopal College in Mayagüez, designed a Marine Sciences Elective course. 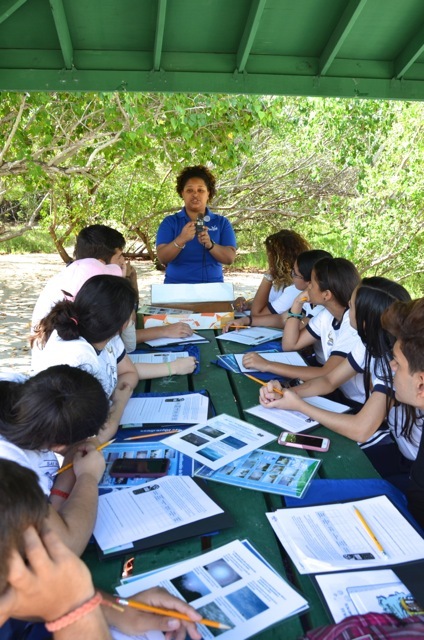 She used the curricular guides about Puerto Rico’s marine ecosystems as a base for the course. 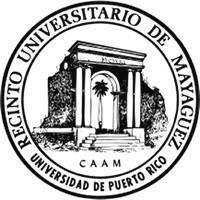 This course is offered to students at a higher level and corresponds with an entire school year. 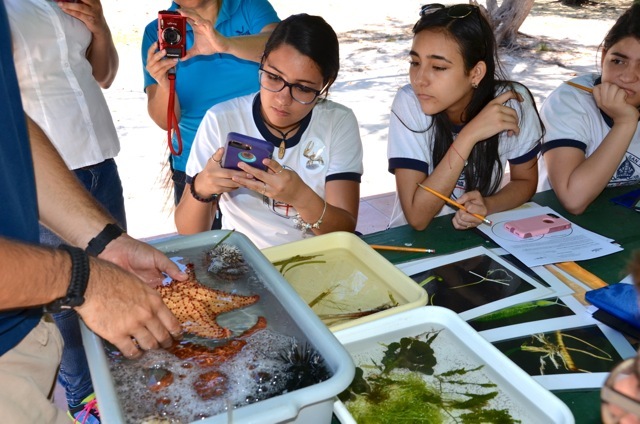 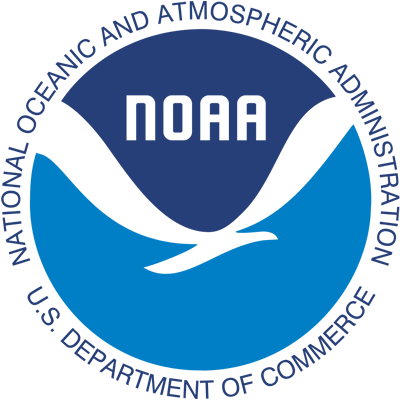 The students currently enrolled in the course are very interested with the variety of ocean-related subjects and are eager to learn. 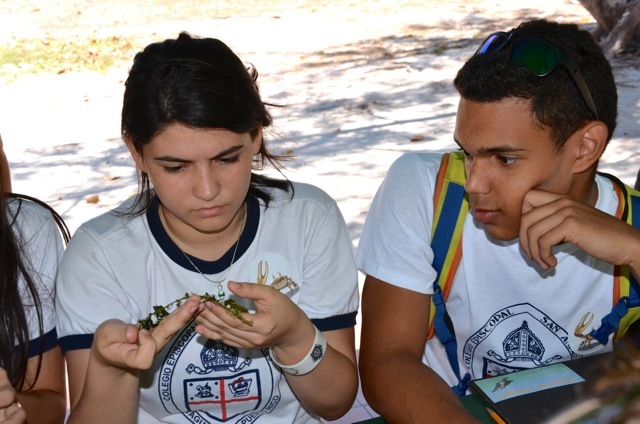 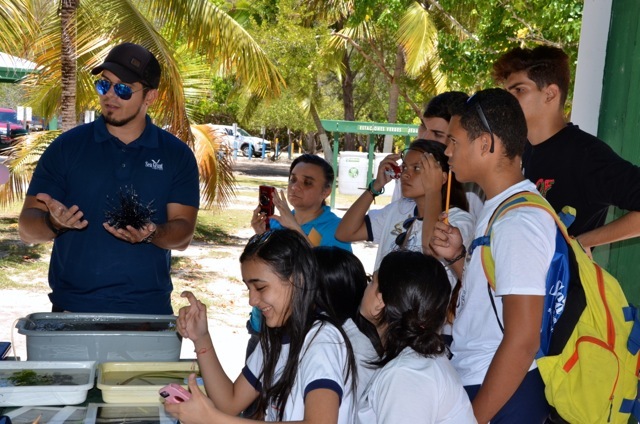 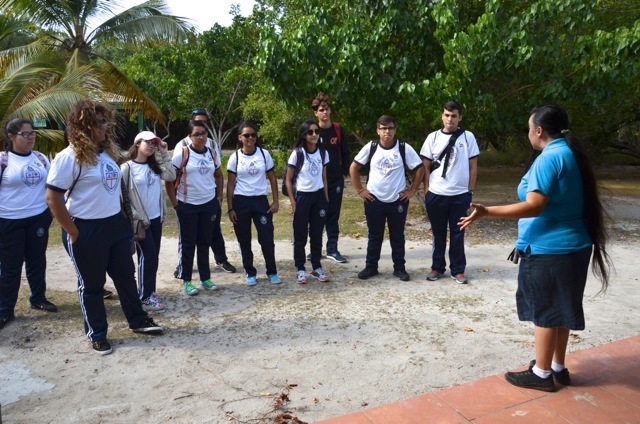 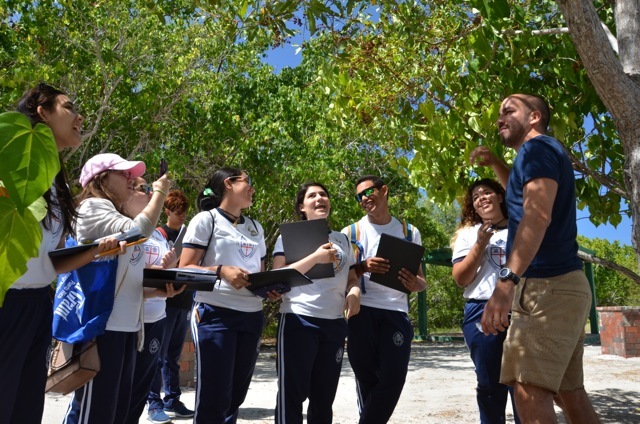 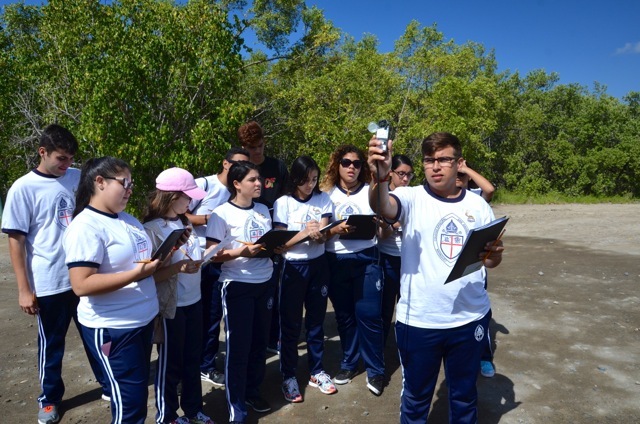 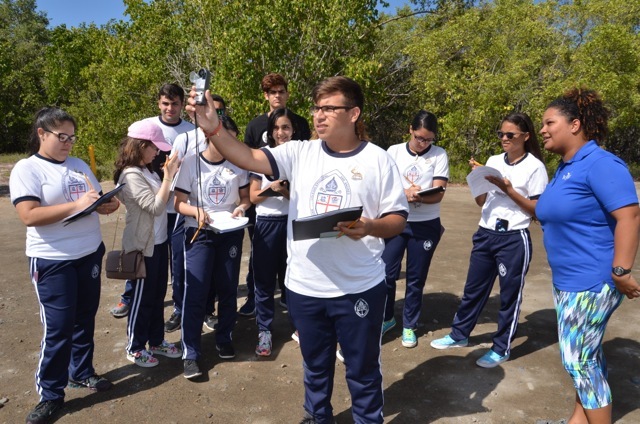 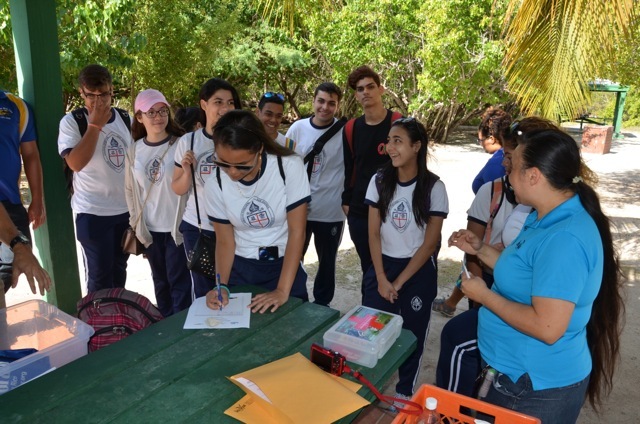 As part of the support offered by the Program, we took them on a fieldtrip to Playita Rosada in Lajas so they could see firsthand the mangrove forest and seagrass bed ecosystems, the organisms living therein, and their importance. 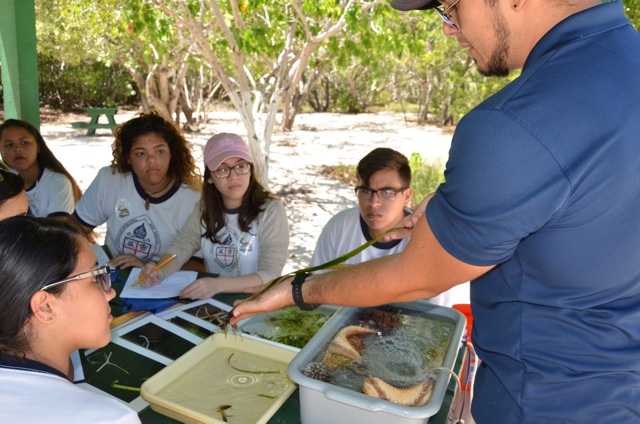 During this trip, students rotated across several stations dedicated to mangrove forests, seagrass beds and marine invertebrates, sand composition, lionfish and meteorology. 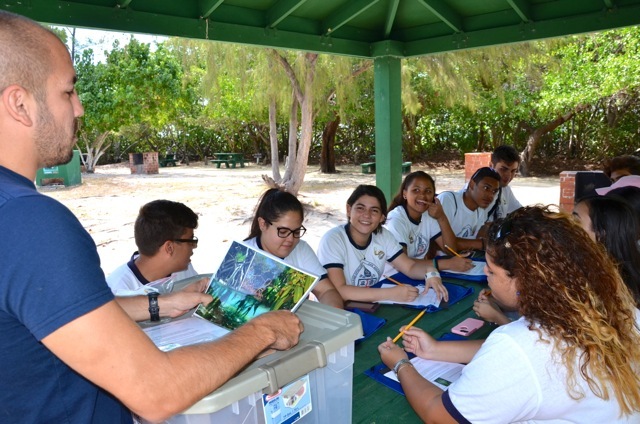 While students made their way across the stations, they demonstrated their knowledge about different topics, with mangrove being the topic they best understood. 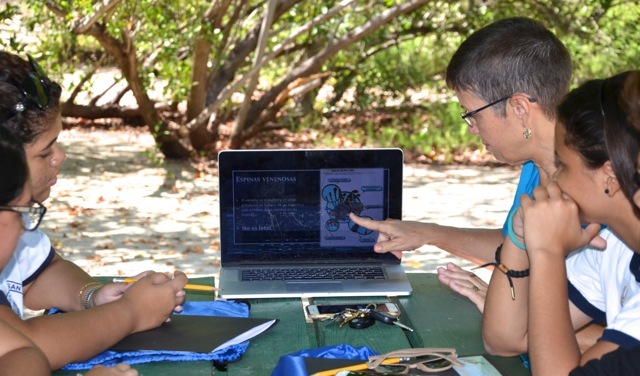 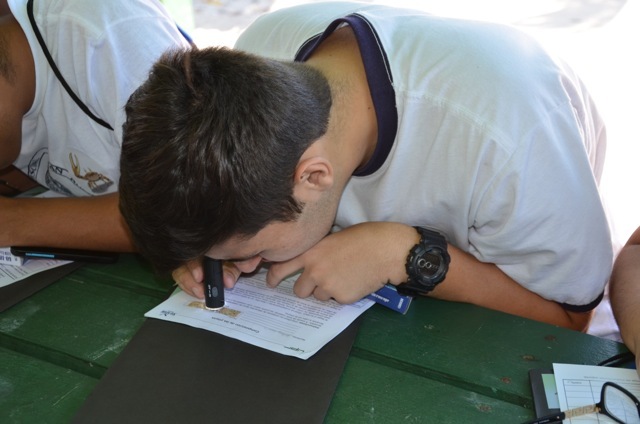 The teacher had already taught them everything related to this ecosystem using the Sea Grant Program’s educational guide. 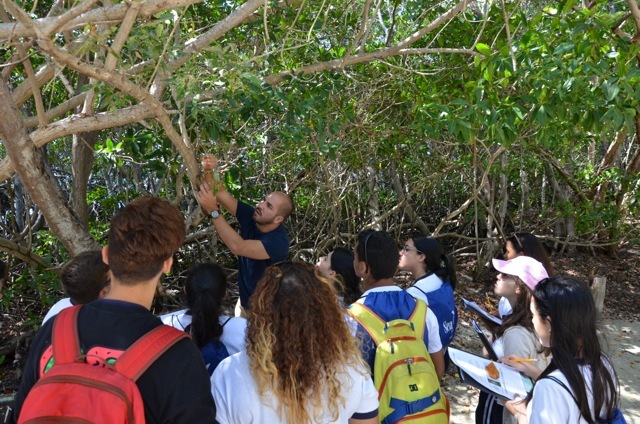 In the classroom, they had seen photographs of mangrove trees and appreciated seeing the real trees during the fieldtrip. 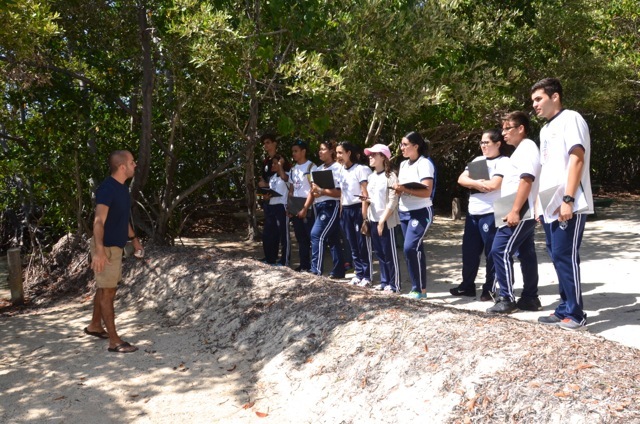 They were able to easily identify the trees. 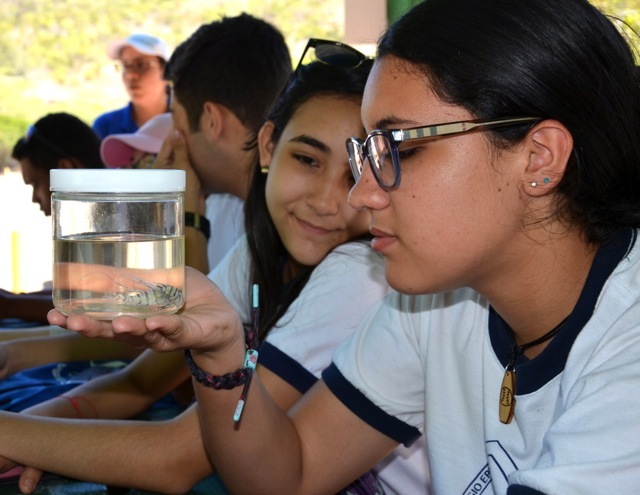 Students had a very enriching experience and were very excited to be there since the fieldtrip afforded them the chance to see and interact with the ecosystems; their perception of them improved significantly.